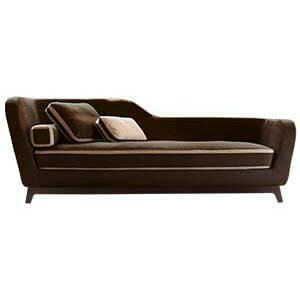 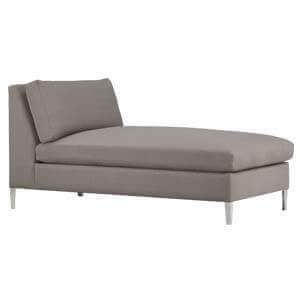 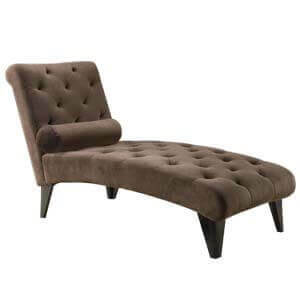 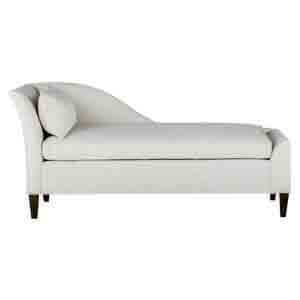 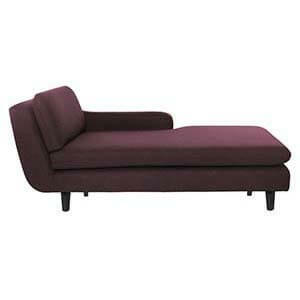 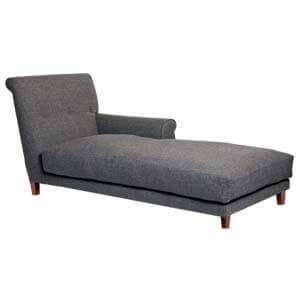 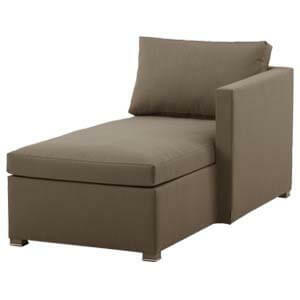 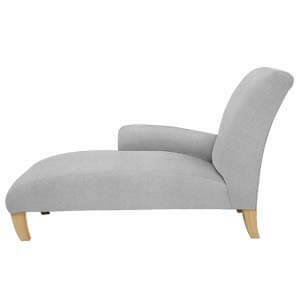 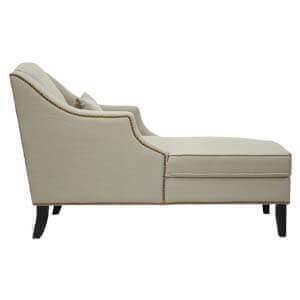 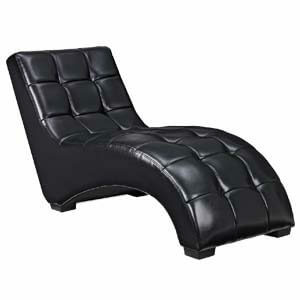 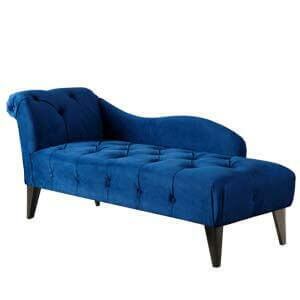 This transitional fabric chaise lounge sofa is a neat fusion of the classic and contemporary styles. 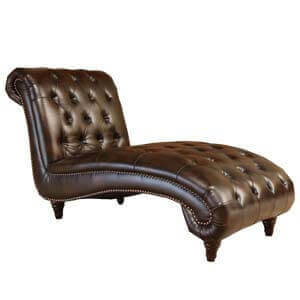 Its features are unique and blended well with the designs of both times. 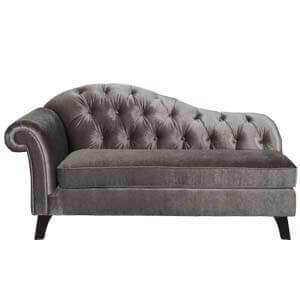 A sprinkle of traditional style with the pleated and rolled montgomery style arm and angled back makes it hold on to its uniqueness. 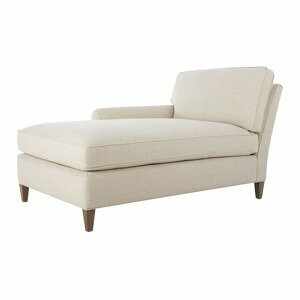 Its clean lines with weltless upholstery brings in the urban vibe. 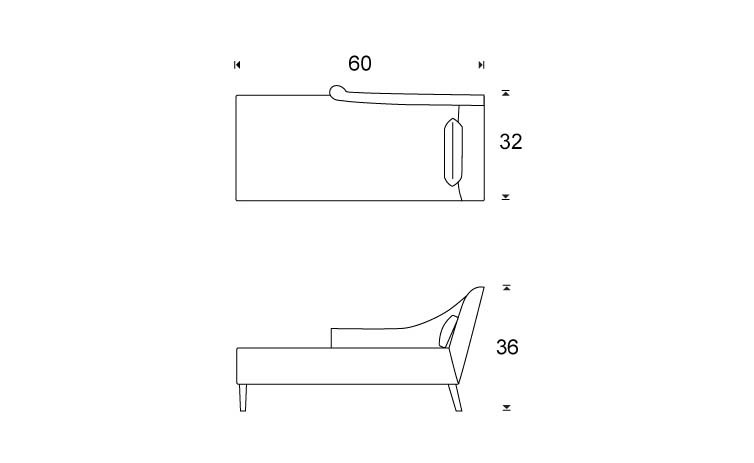 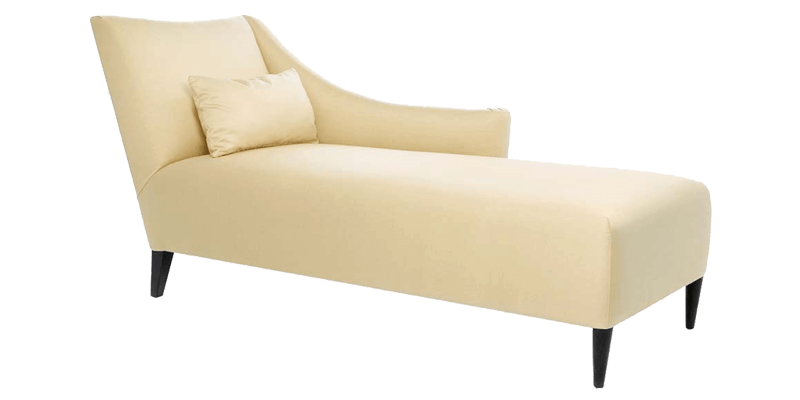 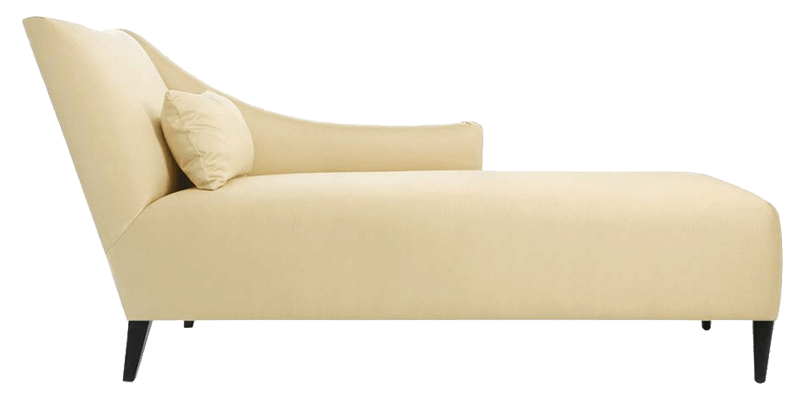 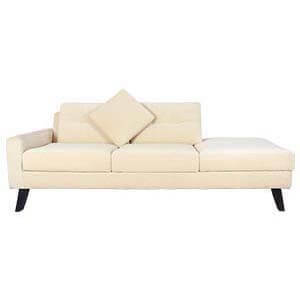 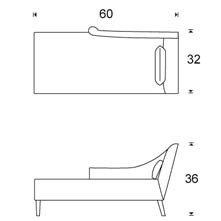 This Ivory coloured transitional two seater chaise sofa with a sleek hand crafted wooden base, it also provides a comfortable seating experience.